﻿ European MALE RPAS Takes the Next Step! European MALE RPAS Takes the Next Step! 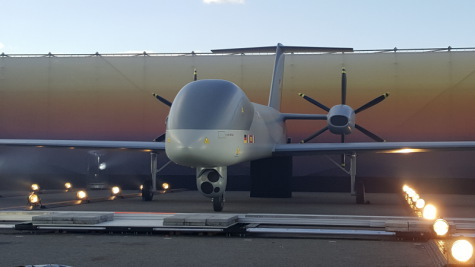 Shortly before the end of the definition study, launched in September 2016, the Programme Participating States of the European MALE RPAS programme, France, Germany, Italy and Spain, have taken a major decision on the way ahead. After an intense period of preparation, OCCAR-EA launched the invitation to tender to the potential future prime contractor Airbus Defence & Space GmbH on 31 October. On industry side, Airbus Defence & Space S.A.U., Dassault Aviation and Leonardo s.p.a. are involved as major sub-contractors for the intended Global Contract, covering development and production, as well as an initial in-service support phase. The ambitious schedule foresees a contract signature in 2019.